Anant Laxman Kanhere was born in 1891 in At Post Bramhanwadi, Aayani (Anjani), a small village in Khed Taluka, Ratnagiri district. He had two brothers and two sisters. He completed his primary education in Nizamabad (which was then also called as Indur), and his English education took place in Aurangabad. Later, Anant wrote a novel Mitra Prem about the friendships he developed at this time. Anant came in contact with the members of secret revolutionary groups at this time, and was attracted towards their work. At that time the atmosphere in India and Maharashtra, called the Central Province during the British era, was very much charged with anti-British feelings. Nashik was at the forefront with the formation of the revolutionary organization Abhinav Bharat Society by the Savarkar Brothers. 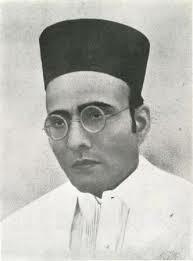 Many small secret revolutionary organizations were formed in and around Nashik, guided by Babarao Savarkar, elder brother of Vinayak Damodar Savarkar. Krishnaji Gopal Karve, popularly called Anna Karve, had formed one such secret society in Nashik. Anna Karve was a young lawyer who aspired to do something for his motherland. Another member of the secret society was Vinayak Narayan Deshpande, who was also one of the main accused in the Jackson Murder case; he was a teacher in an English Medium school in Panchavati, Nashik. Vishnu Vaman Shirwadkar (27 February 1912 – 10 March 1999), popularly known by his pen name, Kusumagraj, was an eminent Marathi poet, playwright, novelist, short story writer, apart from being a humanist, who wrote of freedom, justice and emancipation of the deprived, In a career spanning five decades starting in per-independence era, he wrote 16 volumes of poems, three novels, eight volumes of short stories, seven volumes of essays, 18 plays and six one-act plays. His works like the Vishakha (1942), a collection of lyrics, inspired a generation into the Indian freedom movement, and is today considered one of the masterpieces of Indian literature, apart from his play, Natsamrat, which has an important place in Marathi literature. He was the recipient of several State awards, and National awards including the 1974 Sahitya Akademi Award in Marathi for Natsamrat, Padma Bhushan (1991) and the Jnanapith Award in 1987, he also served as the President of the Akhil Bharatiya Marathi Sahitya Sammelan held at Margao in 1964. Born in 1920 at Rahimutpur, Satara district, Sri Vasant Kanetkar was educated in Pune and Sangli. His father was the famous S. K. Kanetkar popularly known as Kavi Girish, scholar poet and founder member of the Ravi Kiran Mandal that devoted itself to serving the cause of the poetic muse. Sri Vasant Kanetkar’s career presents a striking parallel to that of his illustrious father. Soon after his M.A. which he obtained at Sangli in 1948, he joined as a lecturer in Nashik. In 1950, he became a life member of Gokhale Education Society with which he was associated till 1972. Sri Kanketkar was fortunate to have been guided initially in the literary endeavours of his youth by the famous Marathi novelist V.V.Khandekar to whom he was related and by the well-known educationist and literature V.K. Gokak who had taught him at Sangli. While the former taught him to savour the classics, the latter gave him a through insight into Shakespearean drama. 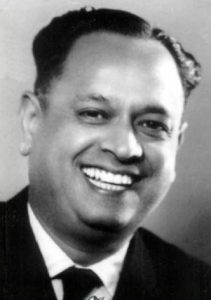 In 1950 Kanetkar published his first major work, Ghar, an experimental novel combining the stream of consciousness technique and free verse, which registered notable success. This was followed by two more novels. 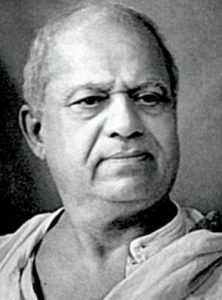 Dhundiraj Govind Phalke popularly known as Dadasaheb Phalke (30 April 1870 – 16 February 1944), was an Indian producer-director-screenwriter, known as the Father of Indian cinema. Starting with his debut film, Raja Harishchandra the first Indian cinema in 1913, now known as India’s first full-length feature, he made 95 movies and 26 short films in his career spanning 19 years, till 1937, including his most noted works: Mohini Bhasmasur (1913), Satyavan Savitri (1914), Lanka Dahan (1917), Shri Krishna Janma (1918) and Kaliya Mardan (1919). The Dadasaheb Phalke Award, for lifetime contribution to cinema, was instituted in his honour by the Government of India in 1969. The award is one of the most prestigious awards in Indian cinema and is the highest official recognition for film personalities in the country. A postage stamp bearing his likeness was released by India Post to honour him in 1971. An honorary award from the Dadasaheb Phalke Academy Mumbai was introduced in the year 2001, for lifetime achievement in Indian cinema. 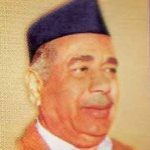 Bhaurao Krishnaji Gaikwad (15 October 1902 – 29 December 1971) popularly known as Dadasaheb Gaikwad, was a politician and social worker from Maharashtra, India. He was founder member of the Republican Party of India and was a member of parliament in both the Lok Sabha and Rajya Sabha. He was awarded the Padma Shri in 1968 for his dedicated service to society. He was a close colleague and follower of B. R. Ambedkar. The Government of India issued a commemorative stamp in his honour in 2002. Baburao Ramaji Bagul was born in Nashik in 1930. After high school education, he did various manual jobs until 1968. While doing so, he published several stories in magazines, which started getting attention from Marathi readers. Eventually in 1963, came his first collection of stories, Jevha Mi Jat Chorali (When I had Concealed My Caste), it created a stir in Marathi literature with its passionate depiction of a crude society and thus brought in new momentum to Modern Marathi literature in Marathi; today it is seen by many critics as the epic of the downtrodden, and was later made into a film by actor-director Vinay Apte. 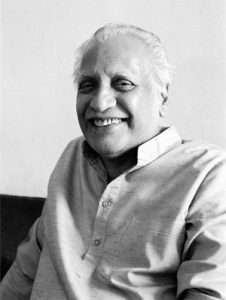 He followed it up with a collection of poems, Akar (Shape) (1967), which gave immediate visibility, but it was his second collection of short stories Maran Swasta Hot Ahe (Death is Getting Cheaper) (1969), which cemented his position as an important enlightened voice of his generation. The collection is now considered an important landmark in Dalit writing in India and in 1970 he was awarded the ‘Harinarayan Apte Award’ by the Government of Maharashtra. Vamandada Kardak (15 August 1922 – 15 May, 2004, popularly known as Vamanadada, was a activist of Marathi Shahir, Poet and Ambedkar movement) during his lifetime his four poetry collections were published. Kardak More than 10,000 songs have been composed by Dr. Ambedkar. The idea of Bharat Ratna Doctor Babasaheb Ambedkar was done through the powerful voice of Abhijidhari movement, Lokshahir Vaman Kardak, in his hometown of the Maharashtra through the writings of the Ambedkar movement. The thoughts of Buddha, Phule and Ambedkar were the breath of Vamanaad, the energy center. Vandanada continued to move towards the end of life by spreading this thought effectively. This has kept the society awake. Pandit Vishnu Digambar Paluskar (August 18, 1872 – August 21, 1931) was a Hindustani musician. 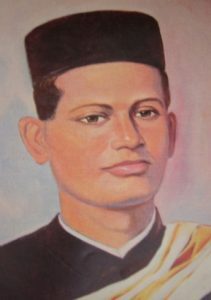 He sang the original version of the bhajan Raghupati Raghava Raja Ram, and founded the Gandharva Mahavidyalaya in 1901. 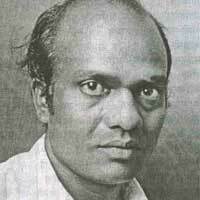 He is also credited with arranging “Vandematharam” as we hear today. His original surname was Gadgil, but as they hailed from the village Palus (near Sangli), they came to be known as the “Paluskar” family. Vishnu Digambar Paluskar was born in a Marathi family of Kurundwad, a small town named bellgaon falling under the Deccan division of Bombay Presidency during British rule, presently in Maharashtra. His father, Digambar Gopal Paluskar, was a singer of Kirtan (a religious song). Tantiya Tope was born in Yeola in Nashik district in 1814. Tatya is the second child of Pandurang Tope s. His original name is Raghunath. His name was also kept as Ram Chandra. Not much is known about Tantia Tope s personal life except for short accounts in Hindi and Marathi. The ones in English are mostly historical accounts of the Indian Rebellion of 1857. 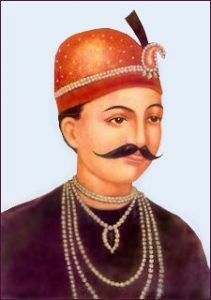 Tantia Tope was born as Ramachandra Panduranga and took on the title Tope, meaning commanding officer, probably derived from Tope, Hindi for cannon or artillery. According to an official statement, Tantia Tope s father was Panduranga, an inhabitant of Jola Pargannah, Patoda Zilla Nagar, in present-day Maharashtra. Tope was a Mara?ha Vashista Brahman by birth. In a government letter, he was said to be the minister of Baroda, while he was held identical to Nana Sahib in another communication. A witness at his trial described Tantia Tope as a man of middling stature, with a wheat complexion and always wearing a white chukri-dar turban.